We repair jewelry of all kinds. We have extensive experience in restoring metal, platinum, gold, silver, titanium, and alloy (combination) jewelry. Bring your jewelry to us for outstanding restoration job. We will repair your jewelry—be it minimalist, latest-design custom jewelry or elaborate traditional jewels. 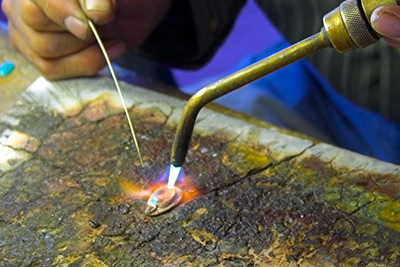 Our jewelry repair shop offers top-notch services in Maplewood. The craftsmen who run this center have 30 years of experience each. You can learn more about them on About Us. To contact them, consider filling the form on Contact Us.